A couple weeks ago we celebrated my cousins 10th wedding anniversary. It was the first vegan friendly potluck I’d ever been to and let me tell you, those vegans cooked up some fantastic recipes! 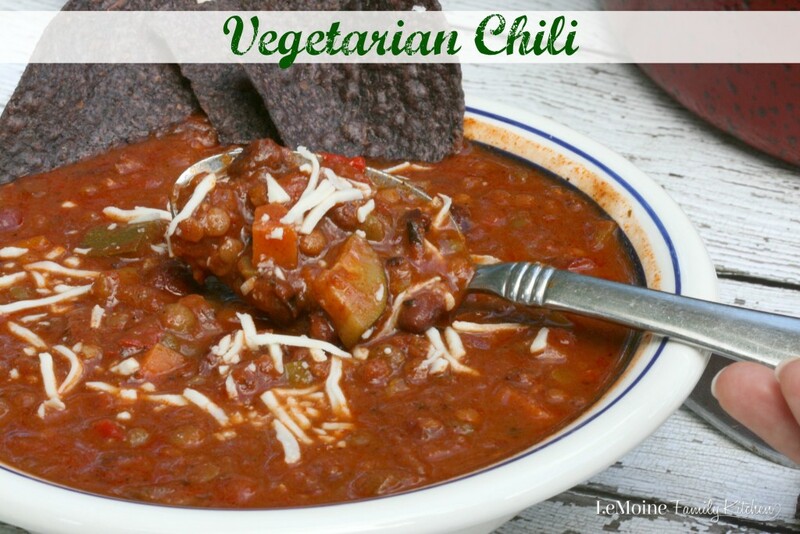 I had decided to do a Vegetarian Chili because I knew it was something I could easily make vegan friendly and still have a hearty and incredibly tasty dish. Thankfully this chili was a HUGE hit! YAY! 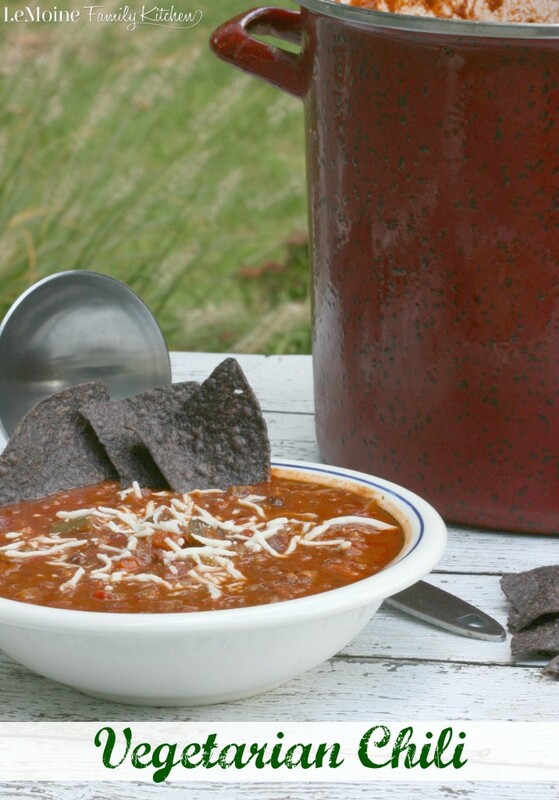 This chili is so very hearty and all the same flavors of a traditional chili are there so you don’t miss the meat. This one is packed with vegetables, lentils, split peas, beans and mushrooms. I made this just as I would any chili, the seasonings are the same with cumin, chili powder, garlic powder, oregano, salt and pepper. It has a nice amount of heat. Whether you are a vegan/vegetarian or you like to add in meatless meals during the week this recipe is a winner! I will note… this is a HUGE recipe and freezes great. SO do the work once and enjoy it all winter long. In a large pot, over medium heat, add in the oil, red onion, carrots, peppers and celery. Cook until softened. Stir in the chili powder, cumin, garlic powder, oregano and salt. Cook for a minute until nice and fragrant. Stir in the mushrooms, beans, split peas, lentils, zucchini, tomato and water. Simmer for 2-3 hours. If not vegan you can sprinkle some shredded cheddar on top for serving. My husband actually might not miss the meat in this one! I can’t usually get away with skipping it! That’s always my challenge too, the hubby! drain the beans or no? thanks! Ah, apologies I did forget to type that in. I always rinse and drain the beans. Thanks so much for stopping by! Have a great weekend and ENJOY!